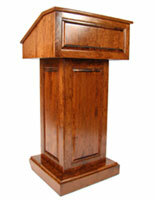 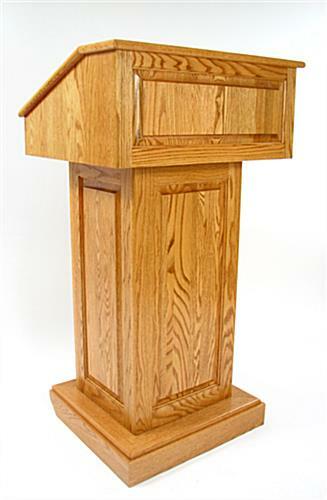 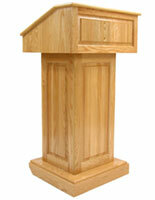 This medium oak presentation stand is adjustable, portable and easy to maneuver. 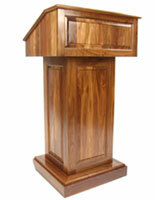 This church pulpit doubles as a business lectern for talks in a school auditorium or hotel banquet hall. 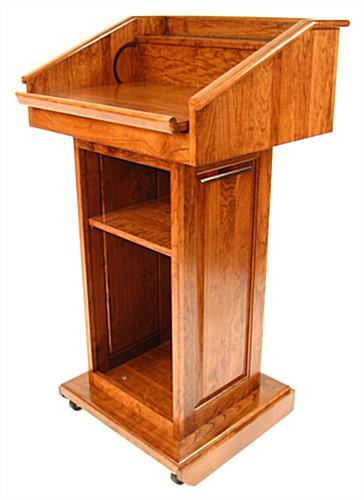 This oak presentation stand that is an all-in-one lectern has hidden casters and can be rolled by tilting the unit backwards for easy transport. 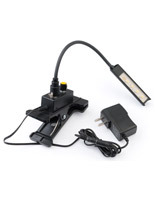 This convertible wholesale system transforms into a countertop mount simply by removing the top section, and lining up the (3) holes in each section, then inserting the black plastic T-shaped screw into the base. 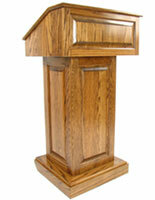 Remove the 3 "T" nuts connecting the top to the middle portion and mount to any platform or table. 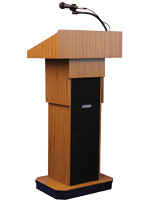 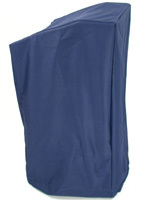 This presentation stand has an adjustable reading surface that can lay flat or angled. 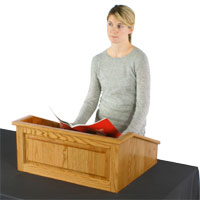 Inside this portable podium is storage space and one removabe shelf. 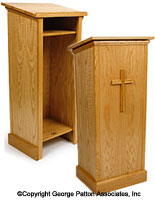 Cutouts hide unsightly wires and cords, keeping the church pulpit reading area neat.